Over the past 25 years, political and economic instability drove many people from the region to search for a better life in Belgrade, but the city’s inadequate urban policy has forced a great share of the growing population to resort to informal housing construction. In the resulting informal settlements throughout the suburbs, the lack of public space and service threatens social cohesion and causes infrastructural overload. I teamed up with Predrag Milić – a fellow 4CITIES alumnus – and a group of colleagues in an initiative to shed light on these issues through research and practice. Our effort aims to spark a conversation about the quality of life in Ledine, an originally planned suburban neighborhood which has been growing informally for decades. Belgrade is home to around two million people, and yet, the city doesn’t have a single wastewater treatment facility or a metro system. Recent development trends have focused more on lavish beautification projects than on providing basic public infrastructure. A lack of strategic housing policy continues to cause illegal construction in the periphery – a trend that has been growing for over two decades. Several waves of migration particularly influenced the city’s population growth. In the 1990s, the city experienced a great influx of people from the region – some fleeing war, others poverty. In the 2000s, many internally displaced people from Kosovo sought refuge in the city as well. In recent years, a great share of returnees who have been denied immigration in the EU have settled down in Belgrade. In a long period of political and economic turbulence, housing shortage has forced newcomers to build their own homes on the outskirts. The resulting informal settlements have shaped the suburbs. The procedure for legalizing individual properties has been introduced by the state over a decade ago, but this retroactive policy has so far been the only one to address the issue. Due to the cost-effectiveness of building a house first and legalizing it afterwards, the growth of informal settlements has only flourished. In fact, introduction of the legalization procedure seems to have further legitimized and encouraged illegal construction. Moreover, the focus of public discourse on mere legality of properties has overshadowed the conversation about the actual quality of life in these settlements. For the past decades, these issues have also been growing around Ledine, an ethnically diverse suburban neighborhood of Belgrade. Ledine was originally built in the ‘60s as a social neighborhood on the edge of the urban development zone. To this day, the only educational and cultural institution in the community has been the local elementary school. With the decreasing share of public space in the area, the role of the school and its yard as a gathering space for the neighborhood has never been more important. Far from the public eye, the issues of the community have been piling up over the years. 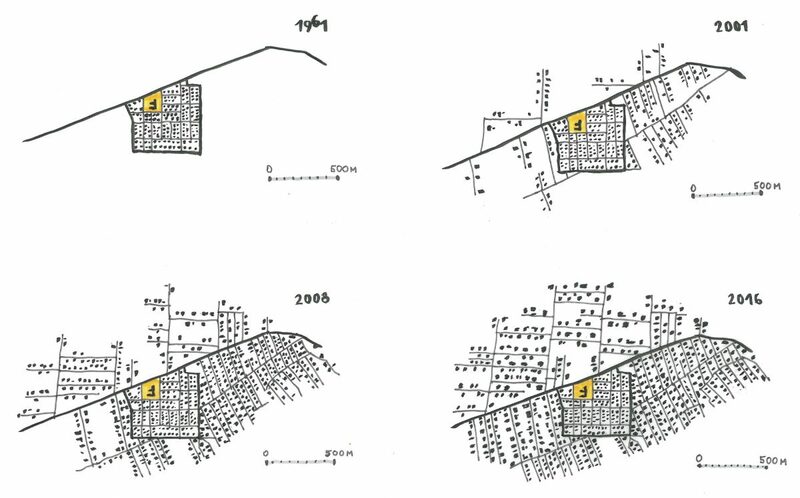 Growing social polarization and ethnic segregation have transformed the entire neighborhood. The local school, once a proud space of cultural diversity, has become a space of social exclusion, primarily reflected in the discrimination against Roma children. Many parents – particularly ethnic Serbian – enroll their children to schools in surrounding neighborhoods in an attempt to escape the other and search for the similar as the precondition for a better life. The number of local students has been dropping and diversity in the classroom has been decreasing. As a consequence of this trend, and due to state policy on school financing based on the number of enrolled students, the local school might soon be under the threat of closure. The potential end to this refuge of togetherness would further impoverish and stigmatize the neighborhood, leaving local children and youth in a particularly vulnerable position and depriving the entire neighborhood of its only public gathering space. 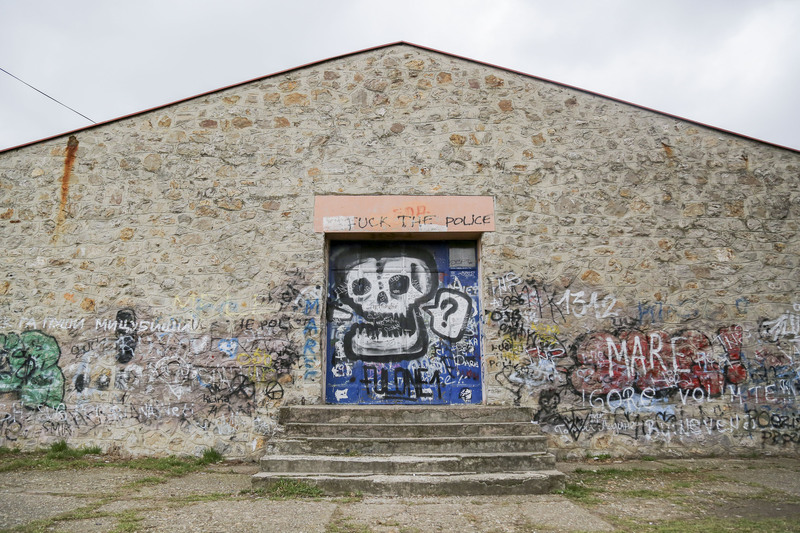 Social issues in the neighborhood are also reflected in its physical structure: from a once fenceless and vibrant community, Ledine has morphed into a world of walls, inaccessible sidewalks, and deserted streets. 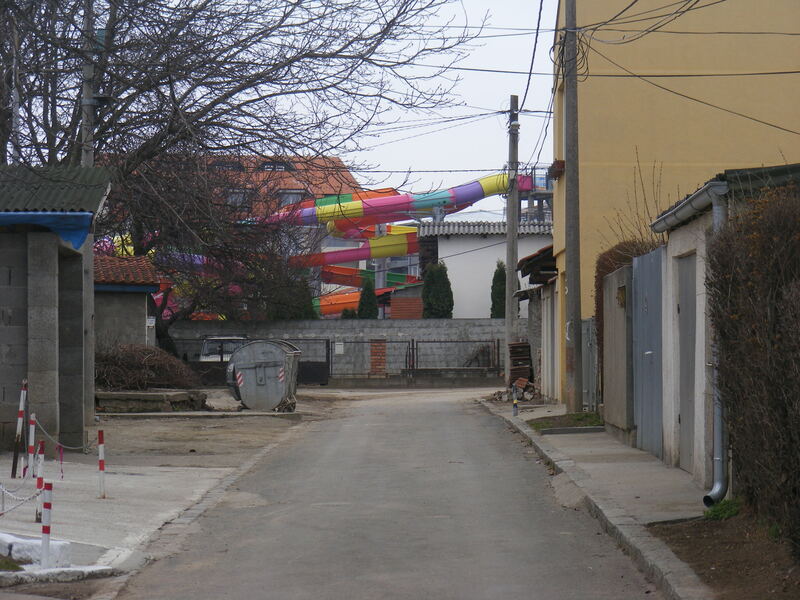 These issues are not specific only to Ledine – they are symptomatic of wider processes moulding the suburbs of Belgrade. As the city grows through its border zones, so do the social issues found in them. This is why we approach our research in Ledine as a study of urban development as a whole. The character of the urban matrix of Ledine is mostly rural, as the properties in the now-larger informal area are located on former agricultural fields. In these circumstances, public space is limited to whatever is left after the delineation of private properties. The originally planned area of the neighborhood has also undergone significant changes over the years – almost all houses have been reconstructed, enlarged, or rebuilt from scratch. Fences have replaced hedges and life primarily occurs inside the abode. Yet, walking through the neighborhood, you can clearly notice the difference between the planned and informal areas of Ledine, particularly regarding the quality of public space. Predrag grew up in the neighborhood and learned about the alarming situation regarding the local school upon his return to Belgrade after the 4CITIES program. 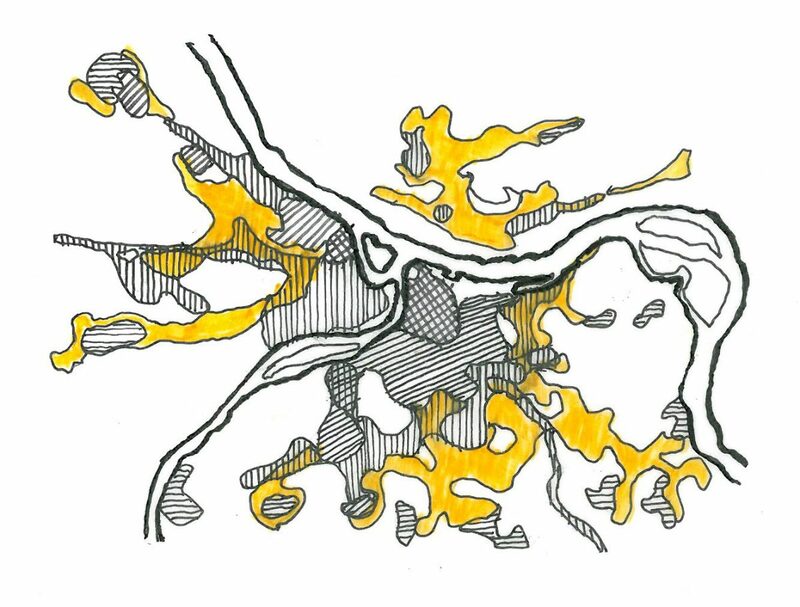 I teamed up with him and a multidisciplinary group of colleagues (coming from fields such as psychology, education, economics, linguistics, and the arts) to discuss social and spatial dynamics of the neighborhood and address local issues. We founded an organization – called Škogled (a wordplay on school and experiment) – with the intention to research and support the role of school communities as agents of change in urban neighborhoods. We then joined forces with friends from the School of Urban Practices and built on Predrag and Viktor Hildebrandt’s (also a 4CITIES alumnus) research on Political Space Matters to develop specific ideas for research and practice in Ledine. We believe that the local community should be the agent of change in its neighborhood, and that the first step towards this agency is the start of a dialogue about local issues and needs. We think of community as a cohesive group based on trust, where relations of trust are built in the public space. This is why we started our project – called Škograd (a wordplay on school and city) – with the intention to spark a conversation about the quality of life in Ledine by strengthening the bond between the school and the neighborhood, going beyond the school’s formal function as an institution and focusing on its role as a community and a public space. Ledine is both the location of the city’s largest waterpark and a neighborhood where residents struggle with water supply due to infrastructure overload. Children are the most vulnerable residents of the neighborhood, but at the same time, they are the ones with the best chance of rallying the neighbors in a long-term effort to bring change to the neighborhood. This is why children and their needs are in the focus of our project. There have been different ideas on the sort of activities we could initiate – from establishing a local radio to converting a local house to a communal space and workshop. While we are still exploring these ideas, the one gaining most traction is the creation of a mobile installation called Memogled – a wordplay on memory and experiment – that would serve to spark children’s imagination and act as a relational object between children, their neighbors, and the public space. We have envisioned Memogled as a sort of mobile infrastructure that the children would use to navigate the neighborhood and collect local stories from the neighbors. Children would then reinterpret these stories and present them back to the neighbors in the form of a street performance, fanzine or even a video game, using the installation again – this time as a stage, workshop or anything else they find suitable. The goal of this activity is to emphasize the role of streets as spaces of active community life. Working closely with children and other neighbors, our goal is to increase friction in the public space that would invite locals to use and explore the streets together. With this tactical practice, we hope to raise questions on what it means to spend time on the street, what it means to live with each other instead of just next to each other. We are now working on setting up a crowdfunding campaign to help us get Memogled up and running. We will be launching the activity and presenting it at the Belgrade International Architecture Week in May 2017. This effort will be one of the first steps towards a continuous set of activities and conversations about the community, in the community, as well as among experts. Our long-term goals are to strengthen relationships in the neighborhood, contribute to a rise in the number of local students, and eventually build a new school together with the locals. We also aim to use the experience and knowledge in working with the community to help address similar issues elsewhere in Belgrade.